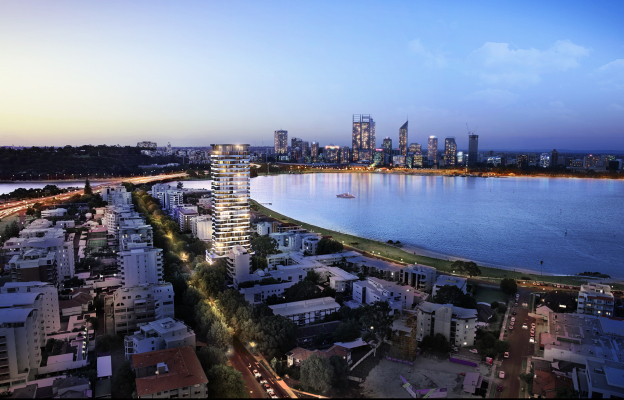 Lumiere reflects South Perth’s recent acceptance of taller, residential development to support the ever-increasing population. 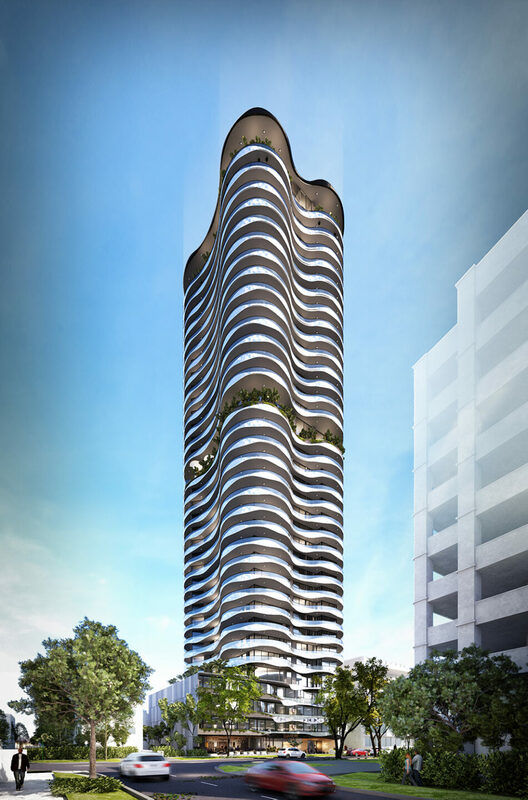 Recognising this trend, Hillam Architects conceives a twenty five-storey residential and commercial tower setback above a four-storey podium. 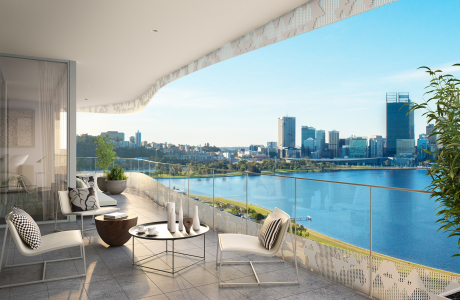 At this height on the peninsula, residents will enjoy panoramic views across the Swan River, to the city and beyond. 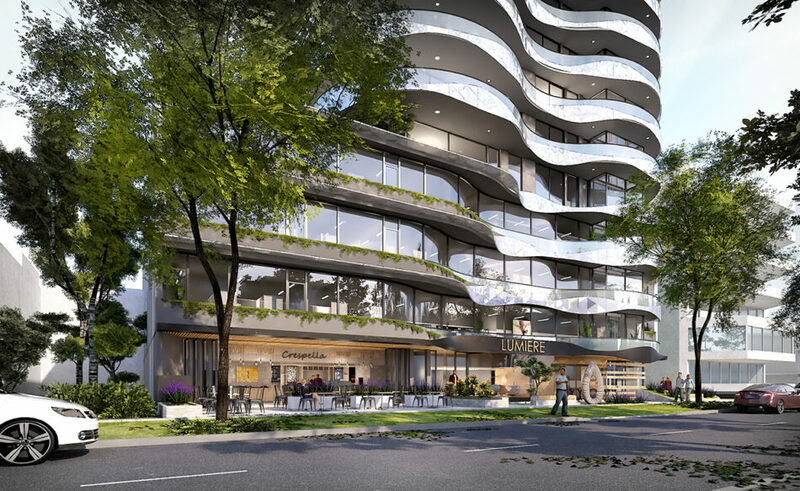 In response to the local design guidelines, Lumiere is envisioned as high-quality urban development that creates a new destination. In addition to a café on the Mill Point Road frontage, the public can also enjoy end of trip facilities. 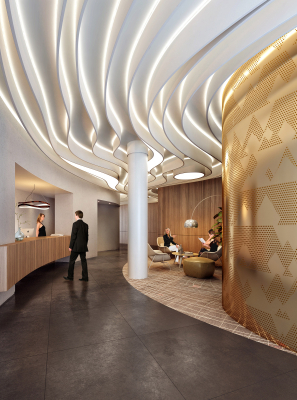 These public amenities will serve to activate the street-front and ensure the building engages with its surroundings. 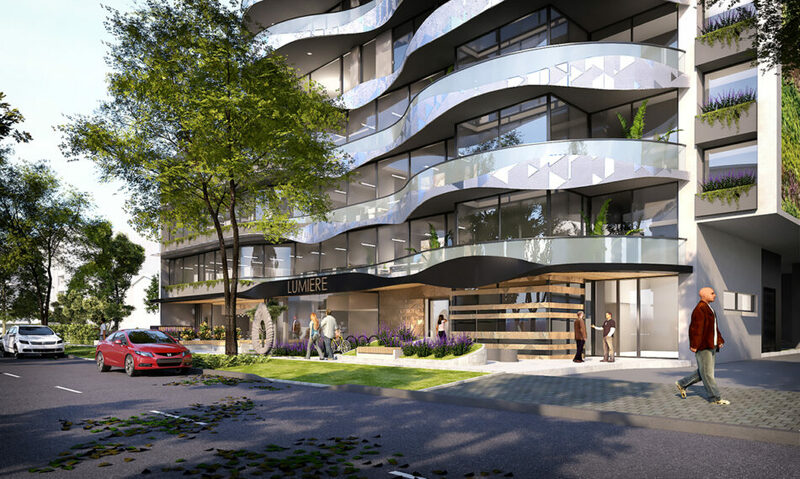 In keeping with our objective to enhance residential living, Lumiere includes various amenities including a spa, residents’ lounge, fitness centre and infinity-edge pool. 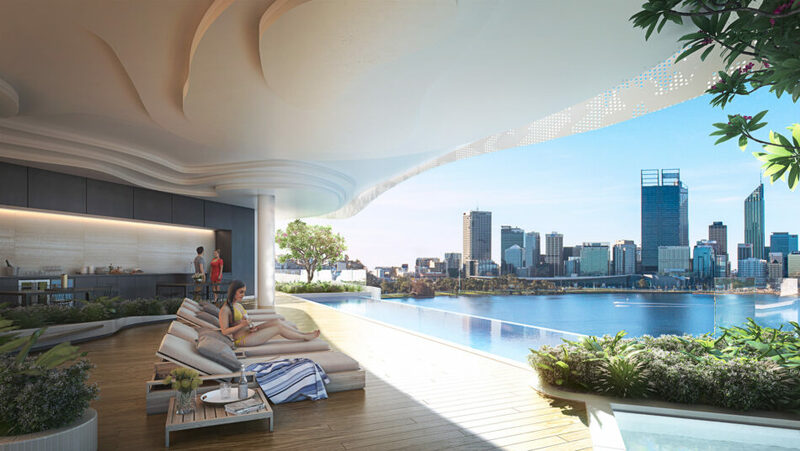 Lumiere has set a new benchmark for luxury apartment living in Perth. 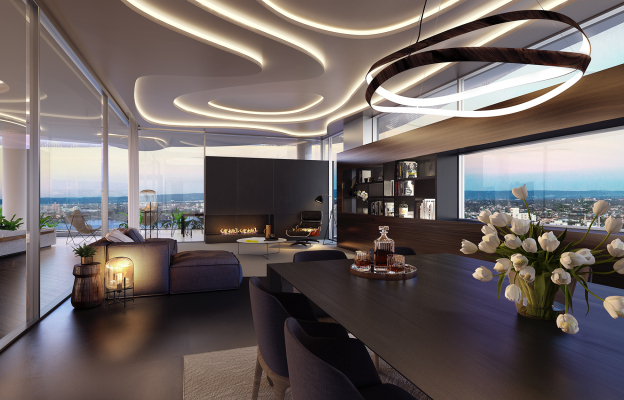 From its dynamic façade to its ambient interior, Lumiere seamlessly blends contemporary design with old-world attention to detail. In addition to elegant curves the building’s scale is further reduced through the use of perforated metals and semi-frameless balustrades. 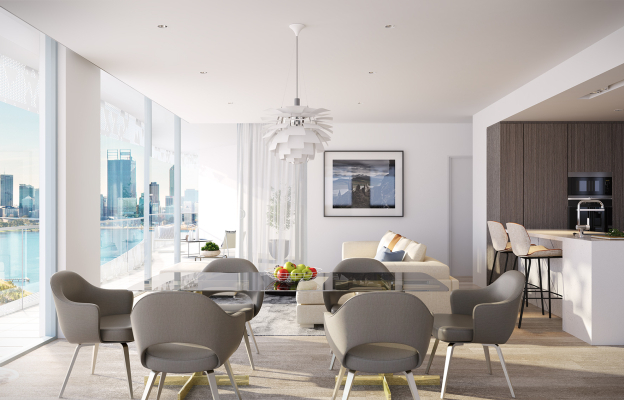 We’ve approached the Interior Design with the same philosophy that we would a high-end, luxurious private residence. 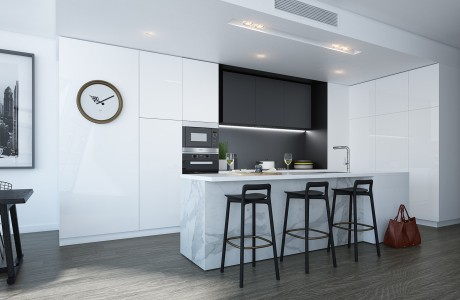 The interior spaces have been crafted with the finest materials, resulting in a finish that mirrors the sophistication of this South Perth address. 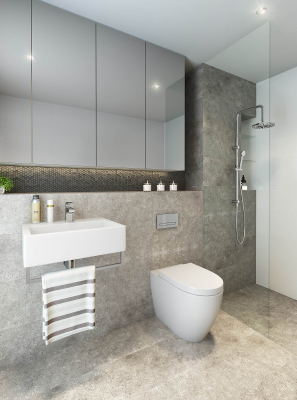 Click Here to visit the Lumiere Apartments web-page.